Want to see one of the creators of Mortal Kombat discussing the huge new fighting game hitting store shelves next week? Of course you do! 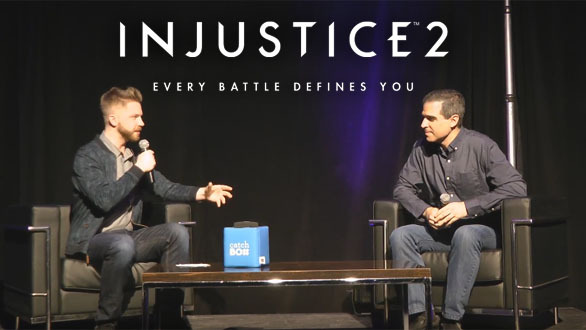 Check out our video coverage of Toronto’s Injustice 2 event last night with Ajay Fry hosting an interview with Ed Boon himself! I even got to ask the first audience question! How awesome is that?! We got to join in for some gameplay too, but the real highlight of the evening was meeting the man himself! In the interview Ed discusses what makes Injustice 2 different, and what will surely be a reason that many keep playing. That reason is the new Gear system! Check out the interview below! The battle begins May 16th!